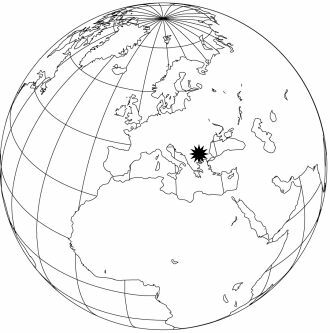 Balkani Wildlife Society is a non-profit organisation, working for the public benefit. The main aims of the Society are study, conservation and restoration of flora and fauna in natural ecosystems, their preservation for future generations and raising public awareness on the problems of nature conservation in Bulgaria. 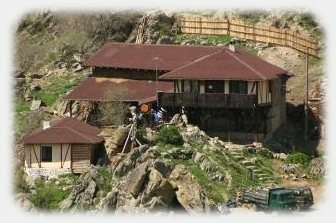 On 3rd May 2007, the Balkani Wildlife Society opened their newly built Large Carnivore Education Centre in the village of Vlahi, set in the foothills of the Pirin Mountains, Bulgaria. The Centre is the culmination of many years’ work by Elena Tsingarska and her project team on large carnivore research and education. Her husband, Sider Sedechev, runs partner organisation BBPS Semperviva, which aims to revive the ancient Karakachan breeds of sheep, horses and guarding dogs. Large predators continue to receive bad press in Bulgaria, and wolves still have a bounty on their heads equivalent to two week’s wages. Dispelling myths and misconceptions about wolves especially is therefore hugely important in Bulgaria. It has been the dream of Elena and Sider to change attitudes and behaviours on as big a scale as they can. The Large Carnivore Education Centre goes a long way to providing this, with excellent facilities for the team to raise awareness about wolves, bears and other large predators in a natural setting. The Centre currently has two captive European wolves and one brown bear which, like our own wolves, are used as ambassadors for their species. The UKWCT has supported the project over a number of years by providing much needed funds to purchase livestock guarding dogs, as well as funding research and equipment. This project is also the first to accept students from the UKWCT hoping to work in conservation. The help from students provides much needed helping hands to the project and invaluable experience for students looking to go into this field in the future. The UKWCT's funding has helped provide livestock guardian dogs and has helped towards the costs of building a large carnivore education centre.